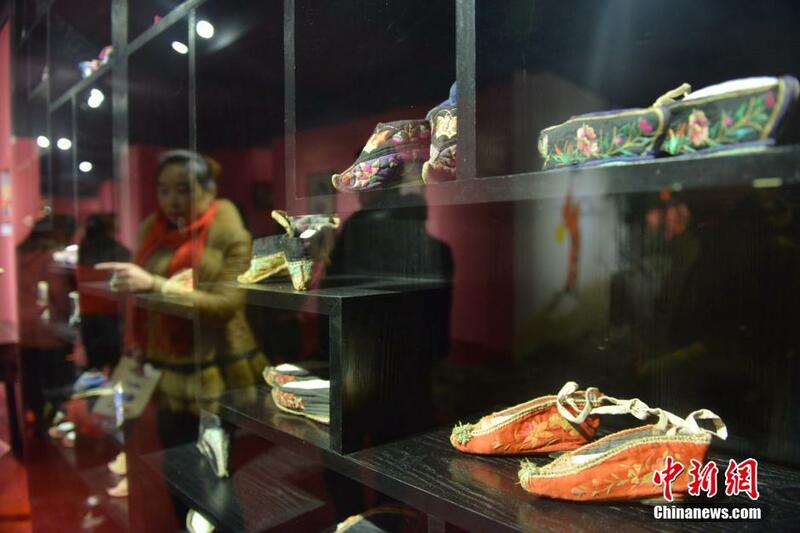 The Museum of Shoes for Bound Feet re-opened this year after a fire closed it last year. It would be fascinating to visit it as part of my Bound Feet Blues project but it is in Anren Town of Dayi County, in southwest China’s Sichuan Province. Bound Feet Blues tells stories from my family’s past as passed down the generations by the women – my mum, my great-grandmother, my auntie. In researching these stories for the show – and also the book that I am currently working on – I looked through my personal photo albums and also asked my mum to send me photos from hers. It was fascinating to watch my family and I evolve, grow up and grow old over the years. 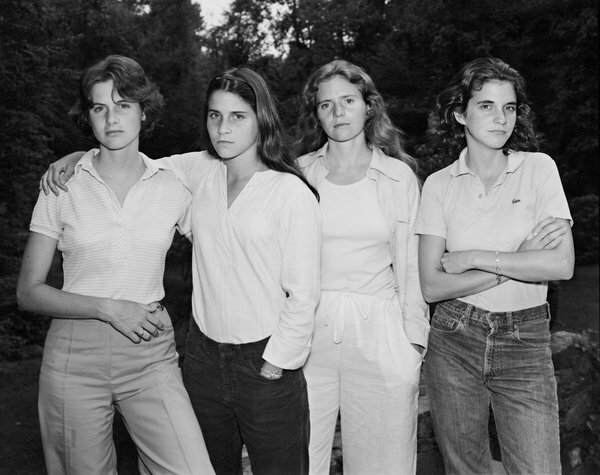 So when I came across this photo project of four sisters photographed every year for forty years by Nicholas Nixon, I was captivated. 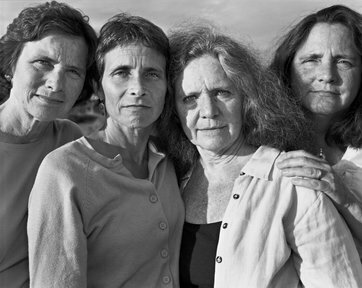 The forty photos are intimate, moving, poignant. Do go over to the NY Times article and look at all 40 photos. 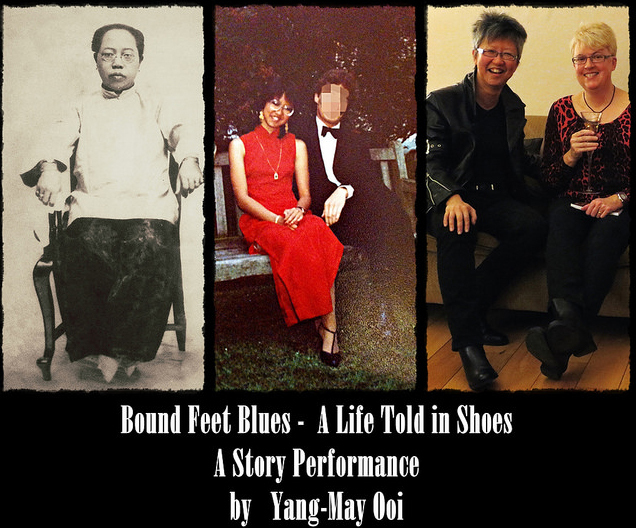 In Bound Feet Blues, the show, I recount the story of how my parents met – as told to us by my mother when we were kids. On stage, I become my mother as we all curl up in bed and she tells the romantic story of meeting the man who would become her husband. “How we first met” is a genre of the oral storytelling tradition within families – and also among circles of friends. We all want to know where we come from – even, or especially, as young children. We are trying to figure out who we are and what being alive means. Hearing how our parents met gives us the context and if we’re lucky, it tells us we were born from love. In my story performance, I can only tell the one story ie about how my mother met my father. But there are a number of “how we met” stories in my family. 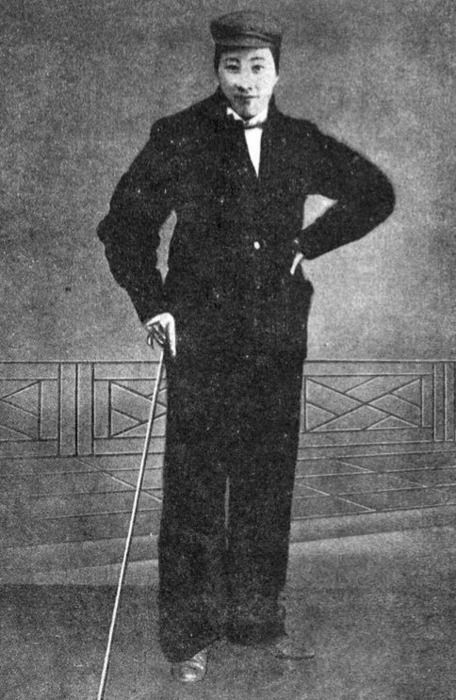 The show is only one hour long – which amounts to 25 pages of text. In the book Bound Feet Blues: The Stories behind the Story that I am currently writing, I have more room to tell those other stories as well. “It was funny to think of Grandma and Grandpa – well, before they became Grandma and Grandpa. 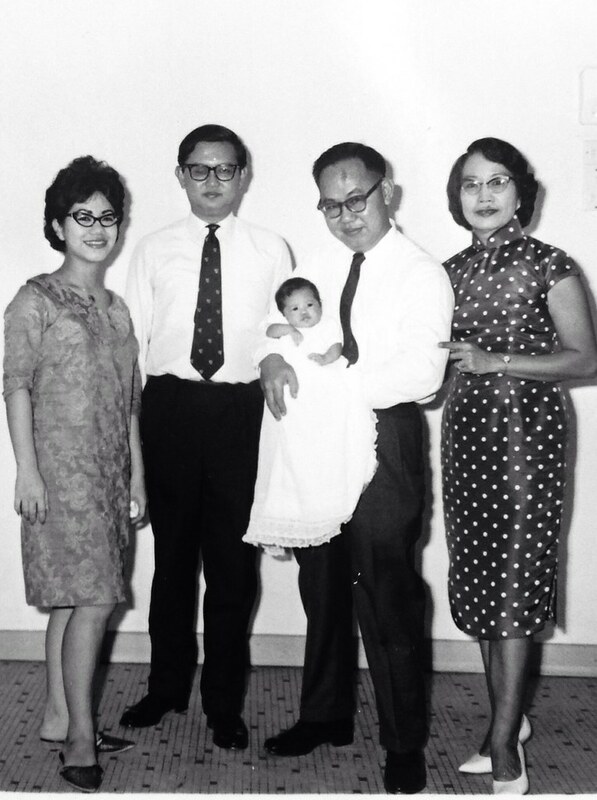 We loved leafing through their photo album and seeing them so young and fresh-faced, Grandpa in those baggy ‘30s style trousers and Grandma in pretty cheongsams and chunky high heels of that time. It was odd to see them in our minds as two young medical students, hanging out with their pals and horsing around in such a scandalous way. It was odd to see a photo of Grandpa playing rugby and running in a race, looking hunky and sweaty, his Brylcreemed hair flying in the wind. She had bound feet but she loved riding and martial arts. She wore men’s clothing and was a firebrand orator. Her name was Qiu Jin and was a revolutionary in the early 1900s in China. “Qiu Jin was born in 1875 in Fujian Province in China, and grew up in Shaoxing, Zhejiang Province. As a child of a fairly well-off family, she was very well educated, much more than other girls of her time. She was very good in literature and writing, both prose and poetry. Unlike most other girls, she was also very much interested in the outdoor and physical activities, such as riding horses and martial arts. Although her feet were bound starting from about five years old as was the norm at that time for Chinese girls from reasonably well-off families, she was quite good in martial arts and other physical activities, an indication of her determination, commitment, and drive. Later as she grew older and started advocating equality for women, she stopped binding her feet.” See Qiu Jin (秋瑾) – China’s First Feminist | Don Tow’s Website. “We women, who have had our feet bound from early childhood, have suffered untold pain and misery, for which our parents showed no pity. Under this treatment our faces grew pinched and thin, and our muscles and bones were cramped and distorted. The consequence is that our bodies are weak and incapable of vigorous activity, and in everything we do we are obliged to lean on others … Sisters, let us today investigate the causes which have led to this want of spirit and energy among women. May it not be because we insist on binding up our girls’ feet at an early age, speaking of their “three-inch golden lilies” and their “captivating little steps”? Are your nerves letting you down when you have to give a presentation? Is your delivery getting in the way of the othewise powerful message you want to convey to your audience? 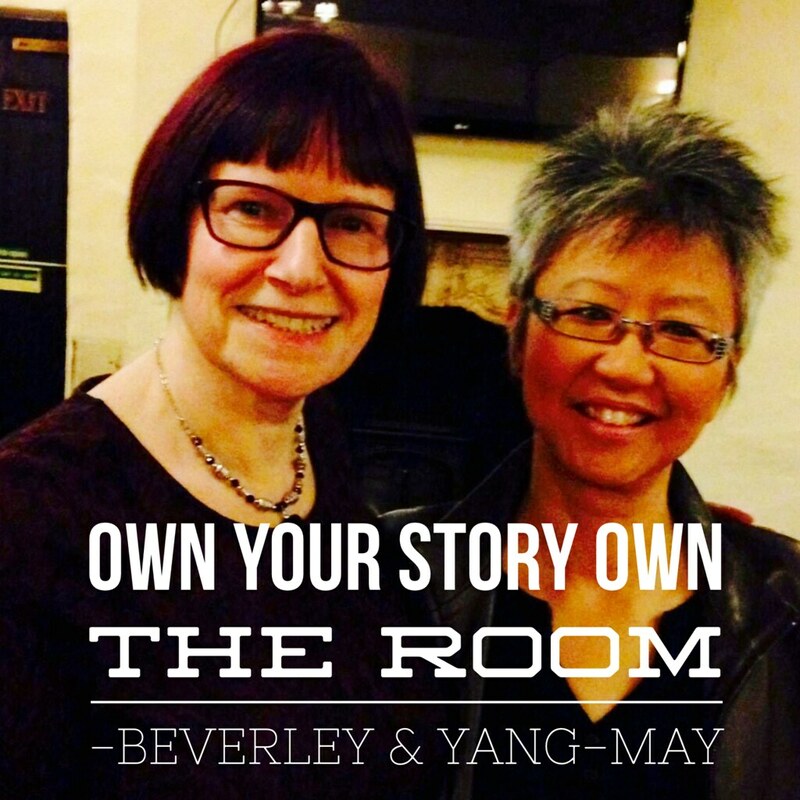 If you want to learn the secrets of commanding a full theatre – and have fun, too, along the way – come to the storytelling and perfomance masterclass Own Your Story, Own the Room on Sat 16 May 2015 in Central London. Do you want to know how you can command the stage like this, too? The masterclass on 16 May could be for you. It will include theatre games that I have devised that will give you experiential learning – one of the best ways to capture performance mastery to magnify your stage presence. 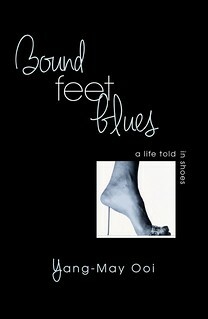 In February, I signed with Urbane Publications to bring out the book of Bound Feet Blues: The Stories behind the Story. 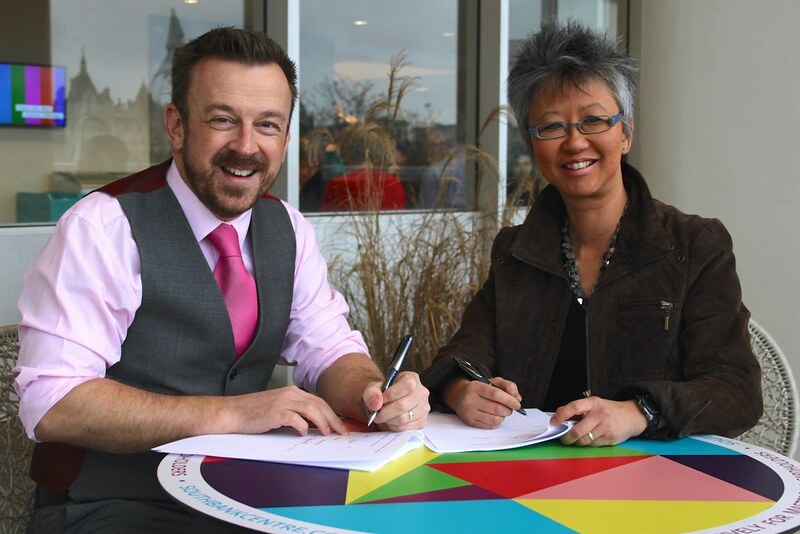 Here is the historic moment – I am with Matthew Smith of Urbane, signing the contract on the 5th floor balcony of the Royal Festival Hall. Hmm. Regular readers of this blog will know that I grapple with the issue of women being objectified for their beauty and in particular, in ancient China for their tiny bound feet. So as a feminist and a humanist, I am in a quandary. Does that comment objectify Matthew? Another female friend commented on Facebook about me in this photo: “looking f***ing hot”. Was she objectifying me? In ancient China, women were treated as decorative objects – beautiful to look at, unable to leave the house because of their crippled bound feet, silent and submissive. 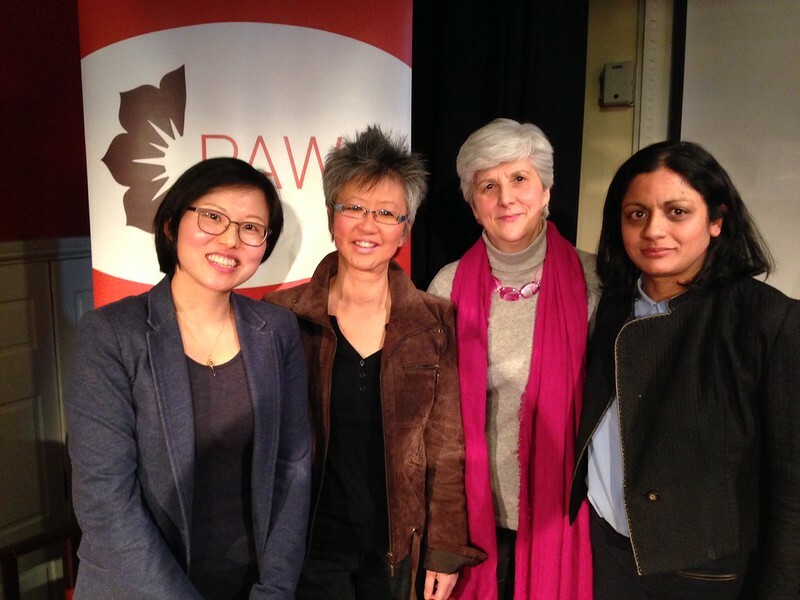 That was the argument I made in my talk for the International Women’s Day panel discussion on Body Image hosted by the Pan Asian Women’s Association (PAWA) last week at the Nehru Centre in London. And that attitude to women underlies the way that women are viewed and treated today – even in our modern Western society. Of course, great strides have been made in liberal democracies for women’s rights and equality as well as for diversity. But there is still much work to be done in unbinding us from deep rooted cultural traditions that shame us for being “bossy”, old, ugly and dressed unconventionally – ie for being undecorative and for trying to be more than eye candy. I feel passionately that the past can offer us a way in to exploring current issues in our present culture. We may look at the brutal tradition of bound feet and think that it was a weird practice that has nothing to do with us. But for the women of that time, this practice lasted for a thousand years and was done to little girls by their mothers and grandmothers. They believed that it was the right and only thing to do to guarantee happiness and a good life for their daugthers. If they had that blindspot, what is our cultural blindspot? It is almost as if the theme of this year’s Women’s History Month was designed just for Bound Feet Blues!